Visiting your orthodontist is NOT a substitute for regular dental checkups. You should visit your dentist at regular intervals during the time that you are receiving treatment by an orthodontist in Essex County, NJ. It’s important to keep good dental hygiene a part of your daily routine. It will keep your teeth healthy and clean and will reduce your overall treatment time. 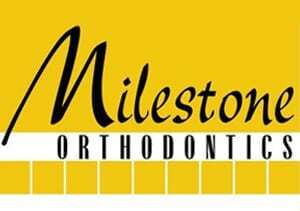 It’s important to Milestone Orthodontics good oral health care habits like conscientious brushing and flossing. If you have non-removable braces, food and plaque can become stuck between your gums and teeth, under the wires connecting your braces, and between the brackets on your teeth. An important tip of Dr. Matthew Milestone is this: to lessen the risk of cavities, reduce the consumption of foods that will cause damage to your teeth (like candy or soda).